An afternoon storm swept in quietly without much wind or fanfare. The sky had been cloud filled, but toward four o’clock, light grey turned to dark, and heavy drops fell intermittently. There is such magic in the desert when there is rain, especially when it passes through without floods or washed roads. The afternoon shower was brief, but delightful. Buster and I walked north toward the distant point, laughing at the drops, watching the birds fluff the feathers. 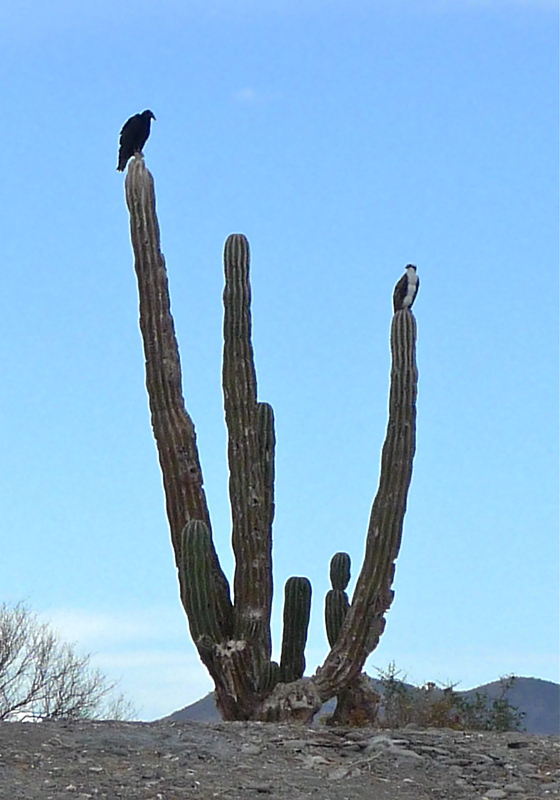 On the branches of a tall cardon, a vulture and an osprey seemed to be holding court. Their watchful eyes searching for food, even at some distance for the osprey from the water. As the storm passed through, the droplets became heavier, but still felt like kisses. All of a sudden, a rainbow – that magical golden arc of light – crossed the sky in front of me. What a perfectly delightful way to celebrate Friday. 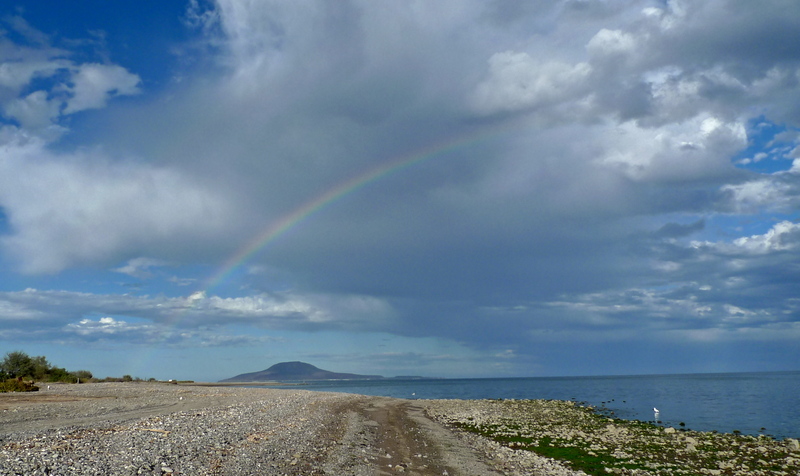 This entry was posted in Baja Living, Beach Dogs, Desert, Loreto, Weather. Bookmark the permalink.